Americans think that most physicians have it made. They're wrong. Americans think that most physicians have it made. They’re wrong. There’s at least one hidden reason the health care system is failing people who just want some face time with a doctor: too many dedicated physicians are not just overwhelmed, but burned out. According to a 2012 JAMA Internal Medicine Mayo Clinic study, 46% of all U.S. physicians are emotionally exhausted, feel cynical about work or have lost their sense of personal accomplishment … or all three. Americans think that most physicians have it made. But the reality is very different. Many physicians have little control of their work. They feel emotionally detached from patients and like cogs in a medical industrial machine. Slotted into 10 or 15 minute appointments, often double-booked or more, without leeway to offer more time without penalty, physicians careen from one place to the next, like pinballs. Endless new forms and electronic screens, a chaotic work pace, substantial debt, uncertain reimbursement and a perpetual concern about lawsuits are to blame. Burnout also sickens physicians, who commit suicide more often, have more trouble with addictive drugs and alcohol, and divorce more frequently than other professionals. Some retire early or leave medicine entirely. A 2012 study of 5000 physicians showed that 89% of practicing physicians would not recommend medicine as a profession to their children or other family members. When physicians are unwell, patient care suffers. Referral rates for diagnostic tests and specialists rise, increasing risks for unnecessary and redundant tests and conflicting advice. Physicians interact with a computer screen instead of the patient. They take shortcuts, follow procedures less, and can make serious mistakes. Physician burnout may be one reason that the VA appointment waiting lists are so long: The newly approved VA bill provides for hiring more physicians, but in the current system, they too will be simply chewed up. Primary care physicians have it worst. There is a predicted deficiency of 45,000 primary care docs (and 46,000 specialists) by 2020. But the reason primary care is on the ropes is not because of too limited primary care residency training positions, as is currently thought in Congress. It’s because doctors are leaving medicine: A 2012 Urban Institute study of primary physicians found that 52% of those over 50 planned to leave practice within five years. For new physicians, it is no better. They owe a median of $170,000 upon medical school graduation, according to the AMA. Their residency training is not supposed to exceed 80 hours per week (in practice it is up to 50% more). Their salary mean is about $51,000 a year, for three years. They see attending physicians having to fight with insurers for care that patients need. They spend, on average, but eight minutes with each patient. They see medicine as a job to be negotiated, not a calling to serve. 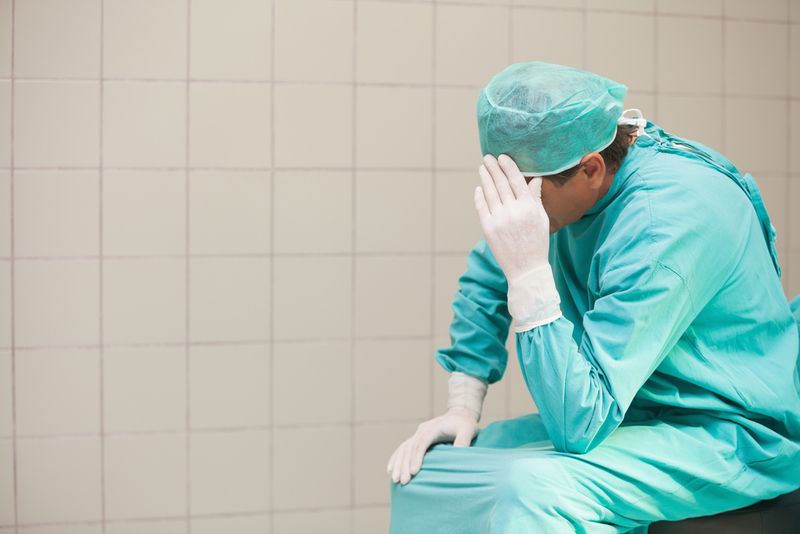 What can we do about physician burnout? Its causes are systemic, not individual. Yet most interventions are individual: meditation, stress reduction, self-awareness, and reflection. These interventions require more time, almost always unpaid, from the physician, already at wit’s end. One solution is organizational change within health care systems. Organizations should allow physicians to structure more of their own workflow. They should teach and pay for time and training to avoid, prevent, recognize and improve burnout, and allow physicians to rediscover resilience and fulfillment. Primary care especially requires innovation. Pharmacists and nurse practitioners could do routine primary care like checkups, screenings, and explaining medication. Primary care physicians could be better utilized for coordinating care, evaluating more serious conditions and helping patients make complex, personal medical decisions. Practicing better lifestyle habits helps both physicians and patients: those physicians who exercise regularly recommend it more to their patients than those who don’t. Ditto for those who eat healthfully. What would happen if physicians could practice more of what we preach about fitness and food, and physician’ employers helped them do it? Would patients’ blood pressures and cholesterol numbers improve? Being a physician is a privilege and an honor. But even the best physician can burn out. It’s time physicians and health care systems shared the responsibility to lessen the depersonalization and exhaustion so many physicians feel. To fix the primary care delivery problem, we must fix burnout, and heal physicians. John La Puma hosts PBS’ ChefMD Shorts and blogs at Paging Dr. La Puma. He is the author of REFUEL. < Previous post Vitamins are not magic. We need good science and better sense.